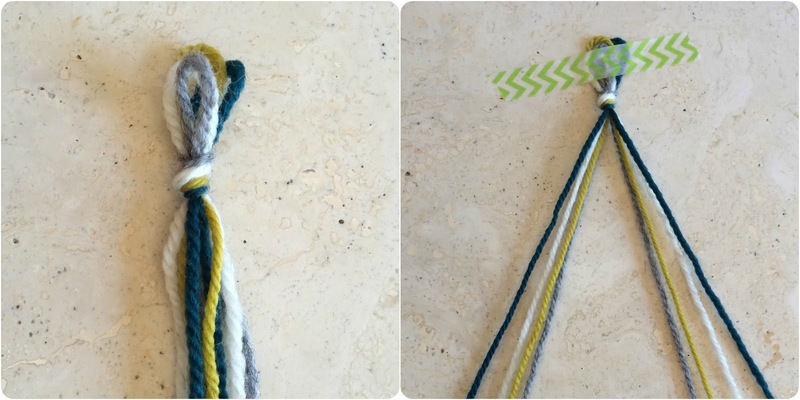 Although I named this a tutorial for a baby headband, it would also work and look really cute on toddlers and little kids too! You just might have to adjust the length a little! 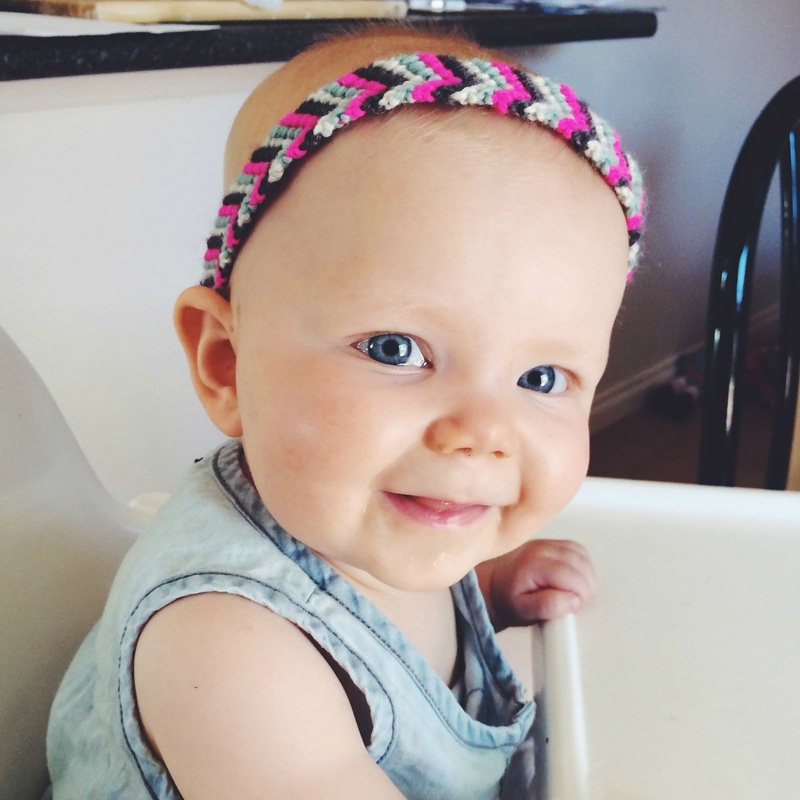 I'm generally not a huge fan of headbands for babies, especially when, like mine, they have no hair!! ha. But, I just couldn't resist. 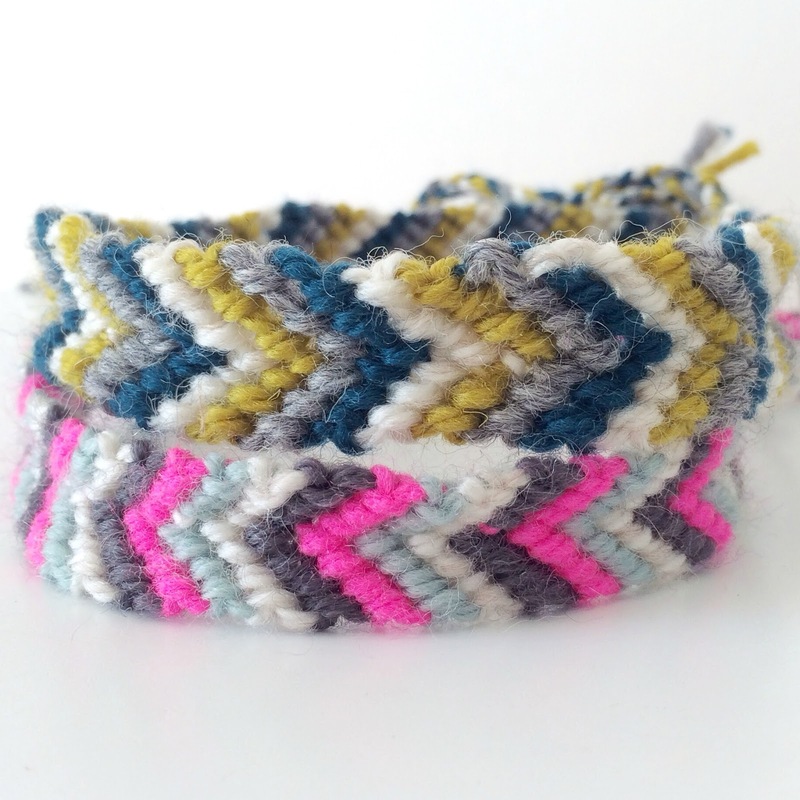 I love a little chevron boho style for babies, and something nice and bright like this is a bit of fun. So, I decided to give it a shot and use some leftover wool and make it in a friendship bracelet macrame style I used to do as a kid, but as a headband, surely it would work the same! And.. of course, it turned out just like I planned!! Yay. Sometimes that happens! The nice thing about using wool, rather than embroidery floss, is that it is nice and stretchy, and light so she barely knows its there and doesn't just try to rip it off all the time! One thing little girls need to get accustomed to is things in their hair! So why not start before they hair has even arrived right!!! 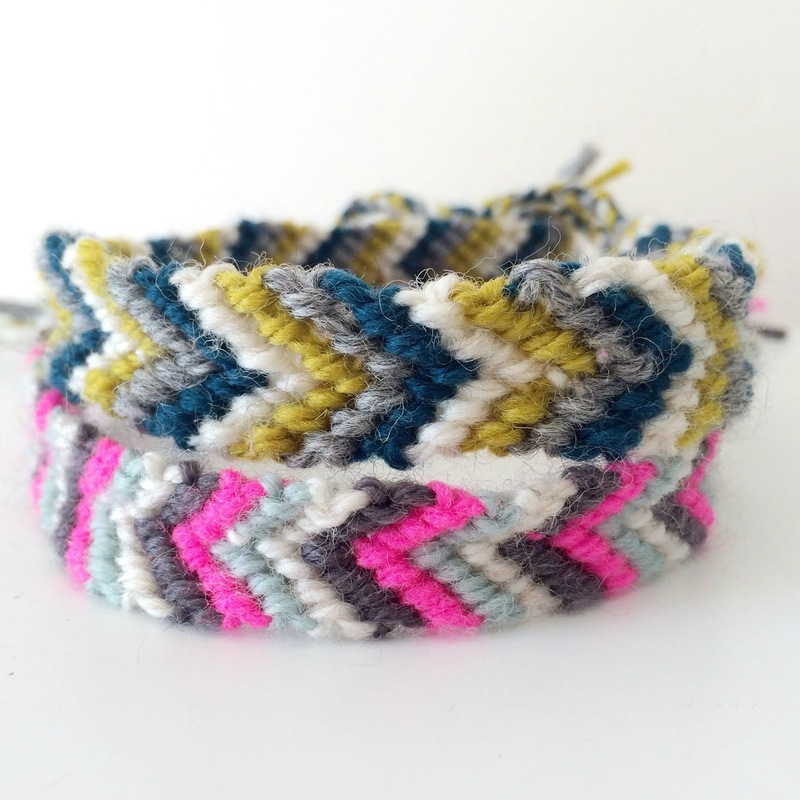 Anyway it is super easy to make, so incase you forgot your trusty childhood skills of friendship bracelet macrame, or if you were never that crafty as a kid, then here is some really easy to follow instructions! -Firstly. Measure out 4 strands of different coloured wool, mine was 320cm long approximately. It was a little longer than what I needed, so I trimmed it back after I finished, but I'd rather them be too long than too short. I used Cleckheaton 8 ply wool. -Tie a knot as demonstrated in the picture below. - Tape the wool to a hard surface, or pin it to a soft surface. I like to make these pinned to a cushion that I put on my lap, then I can multitask and watch some TV too! -Then lay out your wool strands as the picture below, the colours mirroring each other on either side. You take the piece of wool on the very left and place it over the strand directly on its right, then loop it under and back over. 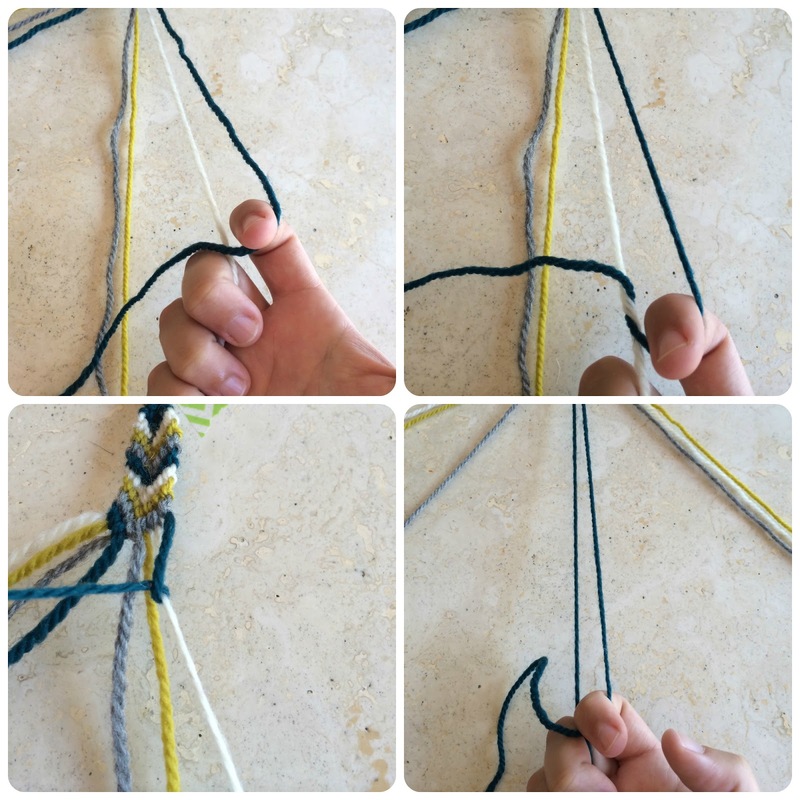 Hold the straight (one that started on the right of the outside strand) strand tight, and pull your original (left) strand up to make a tight knot. And repeat. So you are doing two knots on each colour, until you reach the middle. So for this you would make 6 knots total. Then you move to the strand of wool on the far right and repeat the process, as you can see in the pictures below. Moving to the right, making 6 knots, two knots on each colour working towards the middle. Make sure you hold the straight piece really tight and pull the right piece up to the top. 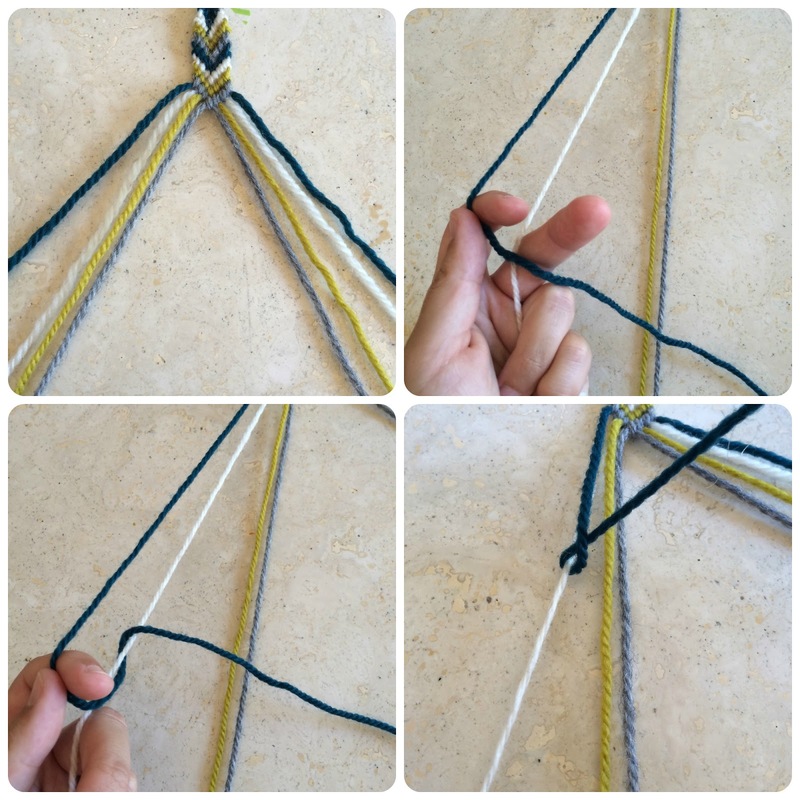 Once you've done the 6 knots on either side, you should end up with the same colour strands in the middle. Then do two more right knots. You repeat the left and right knot process over and over again until you get to your desired length. I then braided two braids in the ends, and tied them off with a knot to secure them. This way I could tie a little bow and keeping it secured is easier. It took me about one and a half hours to finish one, but that was with distractions! 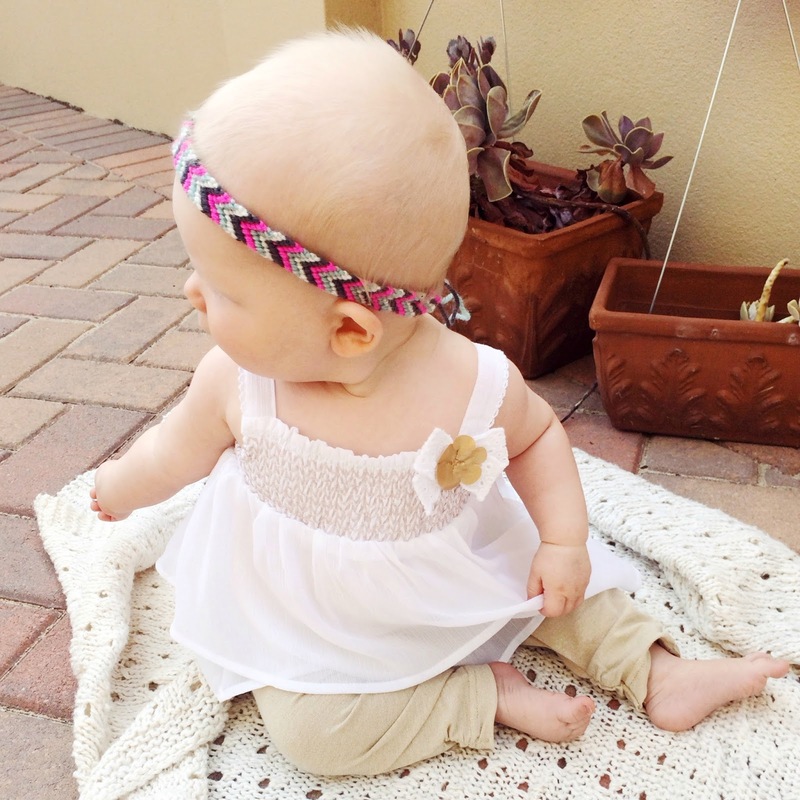 It makes a cute little boho style headband for your little one!